As part of their 2018-2019 theme "Let Me In," about the deeply human need to be understood for who we are, Pasadena�s A Noise Within theater company presents Othello. Arguably Shakespeare�s most intimate of family tragedies, it�s the tale of the breakdown of a man who has everything � power, position and love � only to find his world decimated through intense mind games with his malicious ensign. Prescient in its searing social commentary of prejudice, betrayal and thwarted ambition, Shakespeare�s thunderous drama examines who we trust and the price we pay when we make the wrong choice. "...Demonstrating love between Othello and Iago proves tricky, though, because Iago has begun plotting vengeance already as he speaks his first lines. Nor does the cool precision with which Iago carries out the plan - pretty much the only quality Michael Manuel displays in the role - reveal other characteristics that Othello might have admired." "...So, an OTHELLO that's funny is a big surprise. A Noise Within's production proves the comedy is fundamentally in the play - it just takes the right actors to uncover it. And while not everything else works quite so well in this modern context, the humor lands on all fronts." "...Kubzansky deftly directs her ensemble, but for my ducats and florins, Tania Verafield as Emilia delivers this production's standout performance. I'm no Method actor (and I don't play one on TV - when I appear onscreen it's generally as myself in nonfiction chronicles), but perhaps having personally experienced the most heinous villainy imaginable, Ms. Verafield draws upon those sense memories to render a heartbreaking, harrowing performance by someone who has been face-to-face with the most unspeakably vile evil on the face of the Earth - or, for that matter, in Hades." "...Director Jessica Kubzansky's staging uses every bit of the theater, including the spaces up and down and around the aisles, adding even more energy to the actors' performances. And the sound designs of John Zalewski manipulate us as well, with a variety of foreboding musical groans and moans, playing almost imperceptible in the background." "...Even if they haven't seen it, most people know the story of Othello; one of unimaginable jealousy at the hands of a master manipulator. So it may be saying something to announce that A Noise Within's production, helmed by Jessica Kubzansky, is the most practical rendition of this play that I have ever seen. What if Iago does not personify evil incarnate? What if Othello is not full of himself? What if Desdemona is not an innocent damsel caught in a trap? The usual tropes are nuanced here, helped along by Kubzansky's decision to place the action in modern day Cyprus, a location still under stress some 400 years after Shakespeare wrote Othello. His words, however, are the same and some judicious pruning, with the help of dramaturg Miranda Johnson-Haddad, moves the action along in a tight, cause-and-effect trajectory that powerfully builds the tension." "...The acting elevates the play, at times overriding the suddenly non-coeval production taking place on stage. Manuel does an exceedingly good job as the treacherous Iago. Playing such a traditionally evil villain who conspires against every single character in the play could lead to a one-note portrayal. However, Manuel plays up Iago's sense of cunning. The individualized approach he takes when tricking each of his "friends", while still maintaining his core personality as the Iago everyone thinks they know and love, makes him fascinating to watch. It also makes it easy to see how and why he is able to trick everyone so thoroughly." "...Unsurprisingly, the themes in this play are also highly problematic for women. In one memorable scene, Othello slaps Desdemona across the face in front of a room full of people. She is stunned, having no idea why he would do such a thing, and flees, hurt and embarrassed. But not thirty seconds later Othello calls for her, and she literally comes running, saying "yes, my lord?" Everything about Gulner's Desdemona feels so modern, from the way she carries herself with poise and confidence to her stylish, colorful wardrobe that it is especially cringeworthy to watch her cave so quickly to this physical abuse and eventually meet her demise the way she does. It is a good thing that watching a woman take abuse without protest feels immediately difficult to believe in 2019, but it also casts doubt over the entire story, which does not truly work or make sense in a modern context. All of that is to say that perhaps Othello is a piece of art, like others I have written about before, that would be better off left in the past." "...Should you watch it? Definitely! We live in a political climate in which people appear to tell the truth just as they deliver lies, and in which there seems to be no second thought to typing 140 characters to destroy someone's reputation. Ours is a world of intense mind games, in which, if not careful, we could believe the wrong person and end up collaborating in the demise of us all. Ours is a time in which loyalty is necessary, but it must be given responsibly. 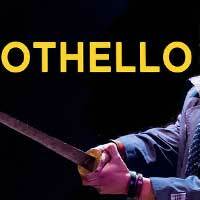 OTHELLO is a most appropriate play for our time."